Indiana’s ONLY Luxury Elite Vacation Rental as rated by Andrew Harper, LLC, the premier luxury travel rating service. Completed in summer 2016, the nautically-themed, Villa Santorini sits atop a private 60ft dune and borders the Indiana Dunes National Lakeshore with its miles of pristine dune trails and unspoiled beaches, and one of the most diverse ecosystems in the world. This year-round vacation rental is a custom-designed Smart Home with direct beach access. Designed for beachfront entertaining both indoors and out, Villa Santorini offers every luxury feature and spa-quality amenity under the Grecian Sun. Introducing The Addition at Villa Santorini, Miller Beach Vacation Rental’s newest luxury offering direct beach access, views of the Indiana Dunes National Lakeshore and Lake Michigan. The Addition at Villa Santorini features stunning interiors, soaring ceilings on 2 levels, gourmet kitchen and custom wet bar, high end furnishings and appliances, and spacious 2 story outdoor living space features an outdoor kitchen, dining area, hot tub, outdoor shower, lounge area, and propane fire pit. Villa Santorini, Indiana’s ONLY Luxury Elite Vacation Rental as rated by Andrew Harper, LLC, a luxury travel rating service, has expanded! 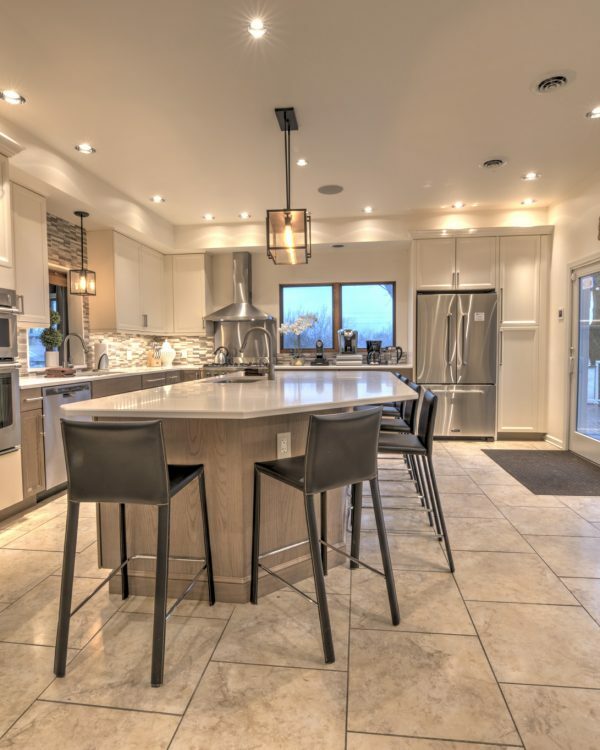 When rented with the newly completed Addition, it now offers nearly 8,000sf of luxury living space including 9 bedrooms and 6 baths, 5000sf of Outdoor Living, 6 wet-bars, 3 wood-burning stoves, 7 parking spots, and premium accommodations for up to 42 guests. 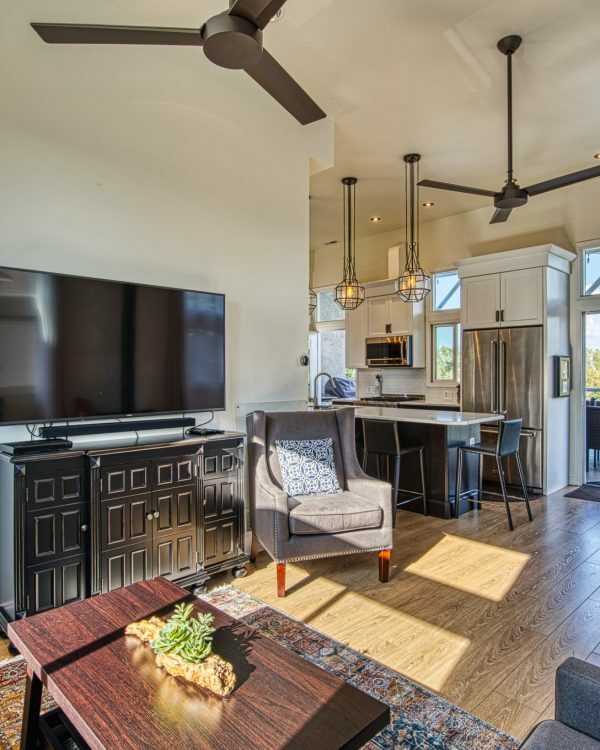 This year-round, beachfront vacation rental and custom Smart home was designed for the ultimate in beach relaxation, convenience, and entertainment. 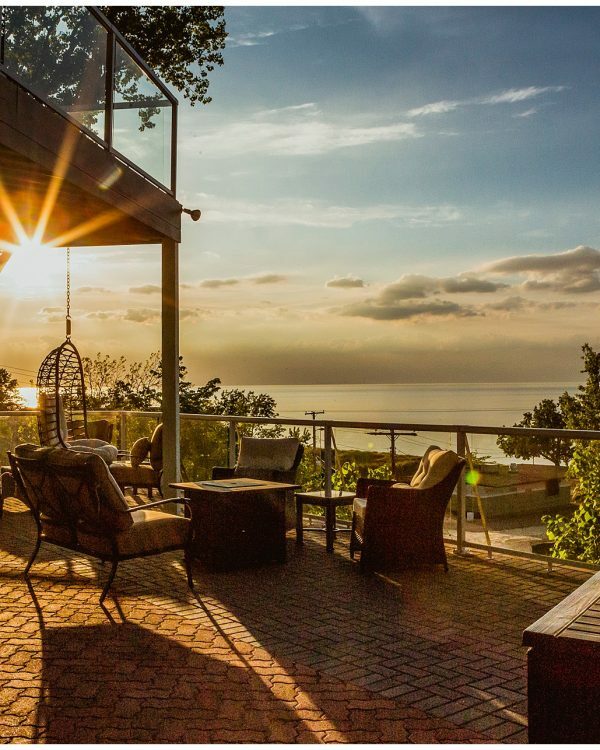 No other vacation rental in this market offers as many luxury features, spa-like quality amenities, or showcases 270 degree, unobstructed views of Lake Michigan’s pristine beaches, the Chicago Skyline, and the adjacent Indiana Dunes National Lakeshore. This 5-Star, year-round, luxury beachfront vacation rental is a secluded, spa-quality ultimate getaway offering first-class amenities and top-of-the-line fixtures and appliances. Miller Beach Dream Retreat borders the Indiana Dunes National Lakeshore with miles of pristine dune trails, unspoiled beaches, and one of the most diverse ecosystems in the world. A sliver of dune trail through the National Lakeshore leads to a semi-private, sugar-sand beach, historic Chanute Hill, sight of first-manned glider ride in 1896, and the Aquatorium, a former bathhouse turned event venue and museum. Miller Beach Dream Retreat offers commanding views of Lake Michigan, the immaculate dune-scape, and the Chicago skyline. 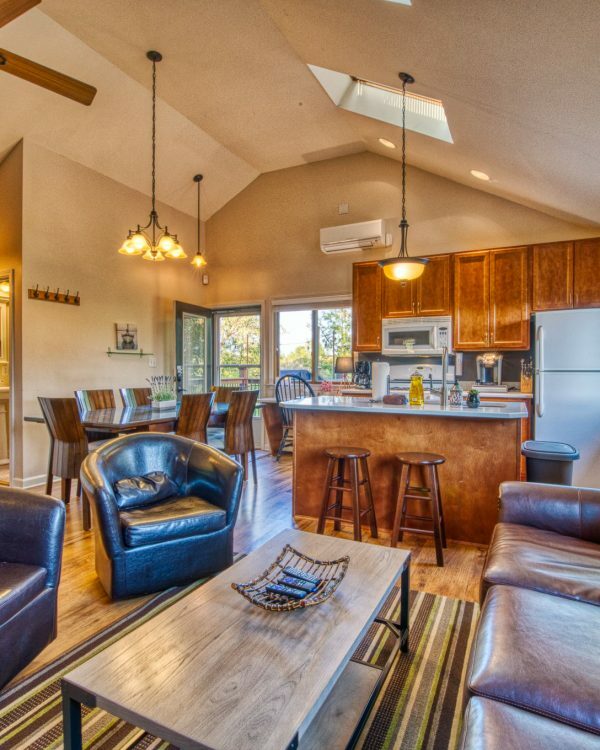 Its functional floorplan has large gathering spaces and cozy nooks for managed solitude. 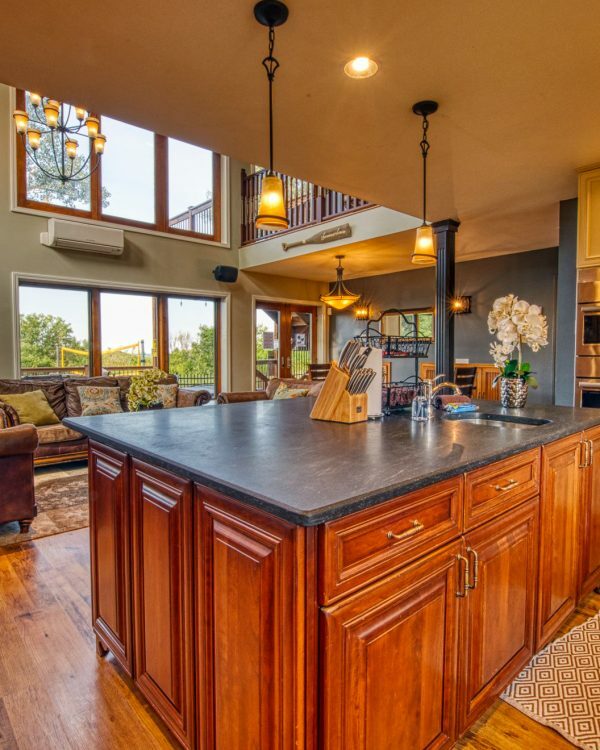 This Retreat is Indiana’s most luxurious vacation rental offering complete privacy. This 5-Star, year-round, luxury beachfront vacation rental is a secluded, spa-quality ultimate getaway offering first-class amenities and top-of-the-line fixtures and appliances. Miller Beach Dream Retreat borders the Indiana Dunes National Lakeshore with miles of pristine dune trails, unspoiled beaches, and one of the most diverse ecosystems in the world. A sliver of dune trail through the National Lakeshore leads to a semi-private, sugar-sand beach, historic Chanute Hill, sight of first-manned glider ride in 1896, and the Aquatorium, a former bathhouse turned event venue and museum. Miller Beach Dream Retreat offers commanding views of Lake Michigan, immaculate dune-scape, and the Chicago skyline. Its functional floorplan has large gathering spaces and cozy nooks for managed solitude. 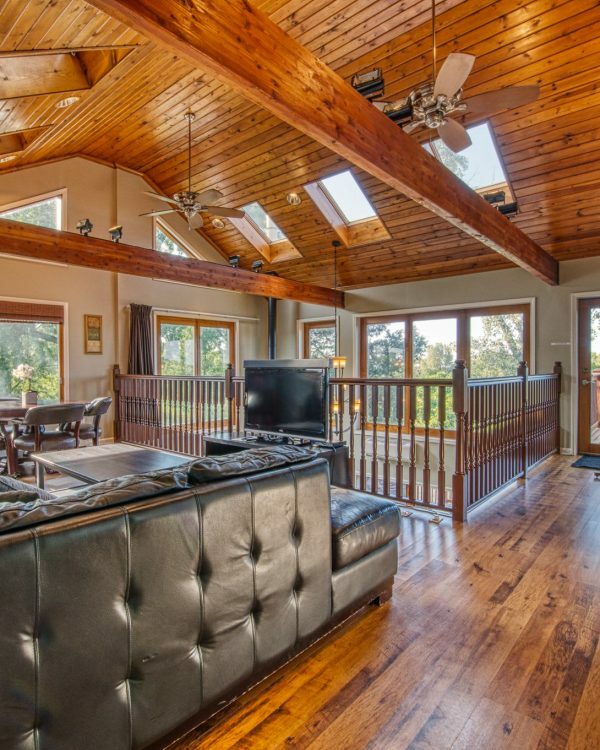 This Retreat is Indiana’s most luxurious vacation rental offering complete privacy. Miller Beach Dream Retreat Guesthouse is a year-round, private, beachfront getaway loaded with first-class amenities, fixtures, and furnishings. Guesthouse has a private entrance and borders the Indiana Dunes National Lakeshore with miles of pristine dune trails, unspoiled beaches, and one of the most diverse ecosystems in the world. A sliver of dune trail through the National Lakeshore leads to a semi-private, sugar-sand beach, historic Chanute Hill, sight of first-manned glider ride in 1896, and the Aquatorium, a former bathhouse turned event venue and museum. Miller Beach Dream Retreat Guesthouse private deck offers nice views of Lake Michigan and its unspoiled dune-scape. Its compact floorplan is functional and flowing with a large Great Room and two private queen bedrooms. Most guests choose to combine this with the Main House for more space and complete privacy. 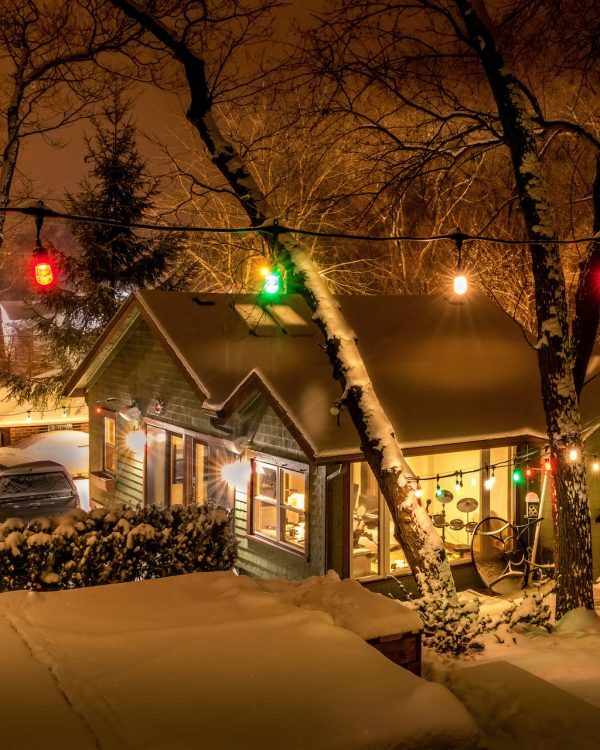 Camp Baxter, a newly renovated Smart Cottage tucked away in a secluded section of Indiana dunes, is the latest offering from Miller Beach Vacation Rentals. Nestled on the side of a dune and loaded with modern conveniences and amenities, this 2 Bedroom/1 Bath home also has large outdoor living spaces and a perimeter fence that surrounds the entire compound, for the ultimate in privacy. Additional guest fee applies over 4 people: $15/person per night (not including children less than two years of age on Arrival Date), regardless of length of stay or purpose of visit. Maximum occupancy is 8 to 10 people.